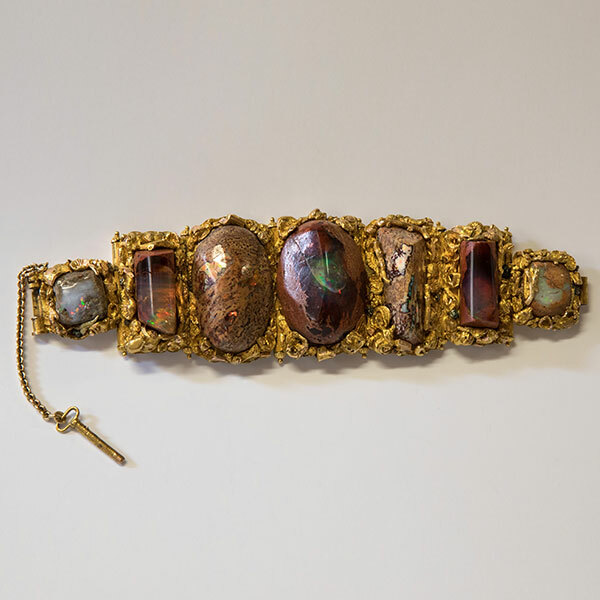 The design and construction of this extremely rare and highly important seven opal bracelet in colonial gold suggests a date of manufacture after 1880, after four tons of Queensland opal matrix had been delivered to Sydney by Herbert William Bond and before the bank crash of 1890 which severely curtailed activity in the Australian jewellery business. Described: Australiana May 2018 “Of frogs, gold bracelets, opals, ladies and queens” see articles by J. B. Hawkins.